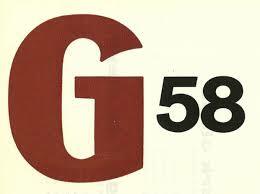 G 58 is an association of artists that was active in Antwerp. The collective led to a revival of progressive art in the city and shifted the focus of the avant-garde art scene from Brussels to Antwerp. After World War II, the artistic life in Antwerp was reduced to a minimum. In 1950, however, the first signs arose that Antwerp was ready again to play a progressive and leading role in the international art world. The first sign of this is the first outdoor exhibition of sculptures in the Middelheim Park in 1950. 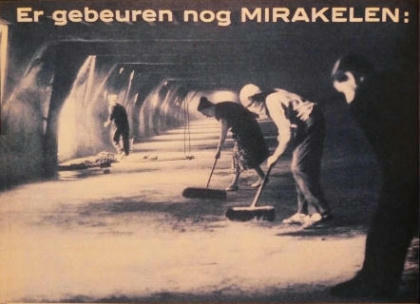 With the emergence of various alternative and avant-garde magazines like De Tafelronde, Het Cahier en Gard-Sivik in the 50s poets, musicians and visual artists got in connection with one another, but most of the interests went to the coming of Expo '58 in Brussels. This worldexpo created great expectations and ambitions. 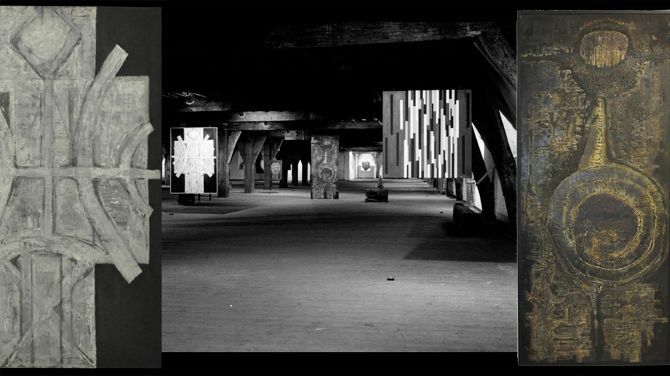 In 1957 some artists including Jef Verheyen, Herman Denkens, André conatct, Walter Vanermen and Jef Kersting went looking for exhibition space because of the absence of galleries who could represent their work. After some actions, they were able to take a building from the city council to use: the castle Middelheim. Following this admission a new group is formed: the G 58 will organise seven solo exhibitions at that location in 1958. In the same year, Mayor Lode Craeybeckx gives the spacious attic of the derelict 16th century Hessenhuis to the artists for use. The building is transformed to an exhibition space by the artists. From then the G 58 exhibits in the Hessenhuis. They organized group exhibitions. 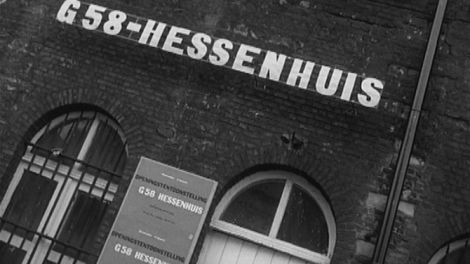 In November 1958, the first group exhibition of the members of G 58 Hessenhuis took place. 26 artists participated, including Vic Gentils, Walter Leblanc, Pol Mara, Cel Overberghe, Jan Dries, Paul Van Hoeydonck and Dan Van Severen. One of the driving forces is the Antwerp art critic Marc Callewaert which is appointed chairman. Some pioneers of the Antwerp avant-garde, Joseph Peeters, Renaat Braem and René Guiette were elected as honorary members. One of the first group exhibitions is dedicated to the first Abstracts in Belgium (1959). The Avant-Garde art world reacted very positively, Michel Seuphor, commented: "Antwerp is back in!" There followed prestigious group exhibitions like Vision in Motion (1959), Zero (1959), the Dutch Informal Group (1960), the New European School (1960/61) and Anti-Peinture (1962). These exhibitions brought the tenors of the international avant-garde (including Manzoni, Spoerri and Tinguely) in the city. After several years, in 1962 the relations between the artists became more and more troubled. It is difficult to run some things financially and artistically there was internal opposition. After several months of inactivity the Hessenhuis closed its doors.